Do I have to get a smog check for car insurance? Do car insurance companies require smog checks? Smog checks or vehicle emissions checks are required by most states for vehicle registration, but they are in no way related to acquiring car insurance. The idea of car insurance is to protect drivers and accident victims against financial loss in the case of a motor vehicle accident. Compare car insurance quotes from several providers by entering your ZIP code now! What states require a smog check? What if my car doesn’t pass a smog check? Why are smog checks required by some states? Do safety inspections affect car insurance? Smog checks are not currently required by all states, so it is important to know the requirements of your state before purchasing a car. Each state has its own smog check requirements. Some states only require a smog check in certain areas, like more densely populated urban areas. Some states will only accept a smog check from approved dealers. Smog is a form of air pollution that is mainly caused by the emissions from cars. 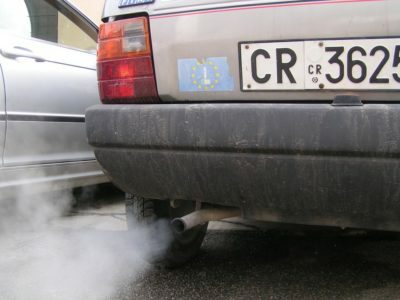 While smog can be caused by large industrial factories, cars are the main sources in the majority of areas. Many people might think that smog is a condition caused by modern advancements, but in reality smog has been an issue for more than one hundred years. During the early 20th Century, large cities had a smog problem because of the amount of coal people used to heat their homes and because of its use to power trains and other forms of industrial machinery. The causes of smog were very apparent due to the fact that people in rural areas that lived further apart from each other did not also have these types of environmental problems. The term “smog” was actually created by Dr. Henry Antoine Des Voeux. The term is a combination of the words smoke and fog and was used to describe the condition of London’s air quality in the early 1900s. In states that require smog checks, the result of that inspection is tied only to your vehicle registration. In terms of a registration renewal, you will have a limited amount of time after renewal is granted in order to pass the smog check. If your car fails the inspection, you must rectify it within a certain amount of time or surrender your registration. For a new registration, you probably won’t be able to get one until the car passes inspection. Regardless of the status of your registration, failing a smog check will have no bearing on your car insurance. As far as your car insurance provider is concerned, they will be willing to provide coverage for you even on a car that’s never driven on public roads. Car insurance companies do not care whether or not it’s licensed, registered, or inspected, to the extent that they will cover accidents or damage as long as it wasn’t incurred through illegal activity. In simple terms, you can still insure a car that fails a smog check. As a way to fight against the negative and unsightly effects of smog, many states now require smog checks. Each state has its own guidelines on the maximum amount of smog-producing emissions that are allowed for each type of vehicle. Smog checks are mainly a worry for people that have older or damaged cars. If a driver takes their car in for a smog check and they do not pass, they are given a certain amount of time to fix the problem. If the problem is not fixed and the driver’s car fails the second smog check, then their vehicle registration will be revoked. If the driver’s vehicle registration is revoked they can fix the problem and then apply for a registration renewal. Smog checks are currently the most affective way that states can fight against smog-causing car emissions. Luckily hybrid and electric cars are becoming more popular and more affordable. These types of vehicles have the lowest amounts to absolutely no emissions at all. If the popularity of these earth-friendly cars continues to rise as technological advancements keep being made, there is the possibility that the future will witness cities with no smog at all. Smog checks do not directly affect car insurance rates since car insurance providers do not require cars to be registered for someone to purchase coverage. Your car insurance policy will always cover accidents that you’re involved in when driving legally. To some extent, it will also cover some portions of accidents you might have while driving illegally. But, depending on the circumstances, they may not cover everything. If your car fails a safety inspection, and you have an accident because of the safety issue, expect your insurance company only to cover a limited amount of damage. Exactly what each one will and will not cover varies from policy to policy and state to state. For example, if you’re involved in an accident due to faulty brakes that did not pass inspection, and your insurance company determines you were only 50 percent at fault, it might be willing to cover a portion of property damage and bodily injury. But if you live in a fault-based state and the accident is determined to be 100 percent your fault, you may be headed for litigation with your insurance company. While smog checks and safety inspections have a minimal effect on car insurance, it’s not exactly true to assume they have no effect. For example, if your car failed emissions testing and you chose not to rectify the problem, and you decided not to surrender your registration, your state may be required to revoke your registration and suspend your license. Those two actions by the state will be recorded in the public record and your insurance company will find out the next time it checks your driving history. Registration and license suspensions, and revocations for that matter, will always result in increased insurance premiums. Your car insurance company views those things as the result of poor judgment on your part, which makes you a higher insurance risk. So the idea here is to make sure that your car passes both emissions and safety inspections on annual basis. If your car fails it is your responsibility to make sure the repairs are done in the allotted time. As long as everything remains in order your registration will remain intact and insurance will remain unaffected. If you live in a state with no smog check regulations, and you plan to move to a state that does, you’ll need to have your car inspected in your new state before registration will be awarded. In that case, everything you’ve previously read in this article applies accordingly. While waiting to schedule your smog check, you can still compare car insurance quotes online by entering your ZIP code now!